FSU Faculty Judy Rushin created a sculpture titled “All Who Knock” for the Kearney Center, Tallahassee’s new homeless shelter. 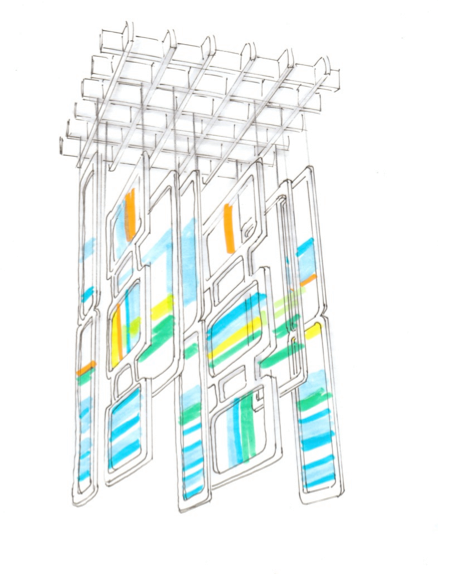 This public art is intended to bring hope and optimism to the residents of the facility. 1. Jill Pable from FSU Department of Interior Architecture + Design asked local artist Judy Rushin to create an original work for the center. 2. 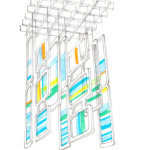 Judy Rushin produced a scale model to help her visualize the project. The model is approximately 8” high. 3. 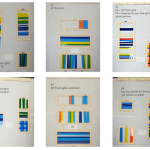 Judy Rushin made lots of notes and sketches that served as color maps, plans for the frame shapes, and hardware design. 4. Judy Rushin worked with engineer Scott France to design special hardware that would handle the weight of the work. 5. 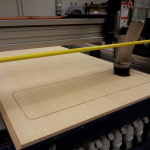 The panels are made from Plyboo (bamboo plywood). Judy Rushin used the FSU Facility for Arts Research as a home base for the project. This is where I fabricated and assembled the components. 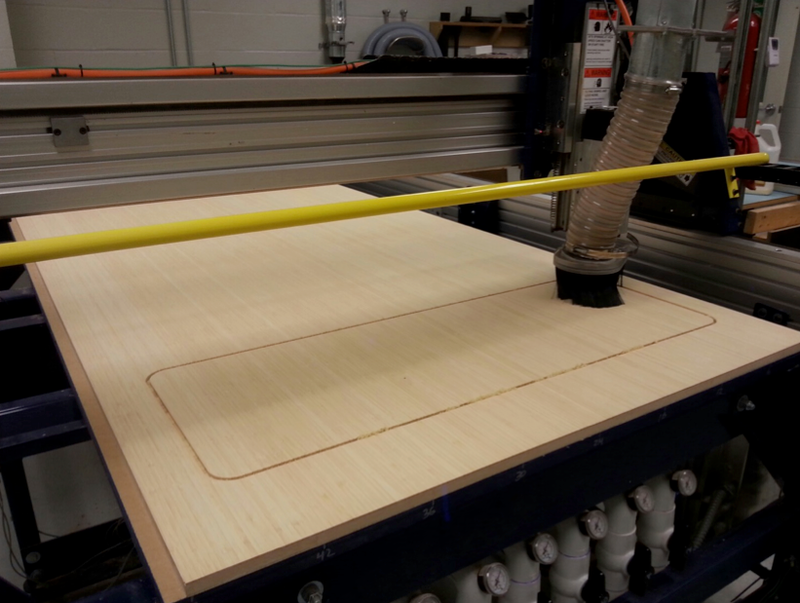 Pictured, a piece of Plyboo on the cnc router. 6. The grid presented a design and engineering challenge. It had to be visually refined and balanced and at the same time provide the structural integrity to safely support the work. 7. 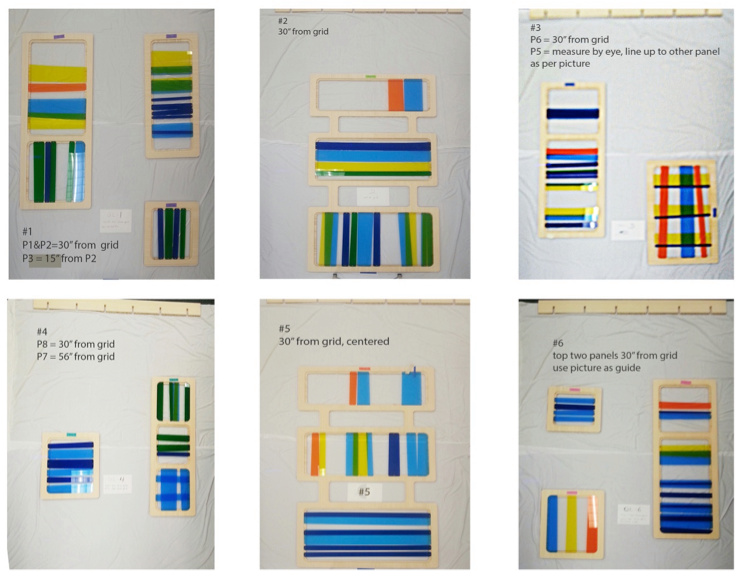 Once all the Plyboo frames were finished, Judy Rushin cut the colored plexi on a laser cutter and assembled the panels. 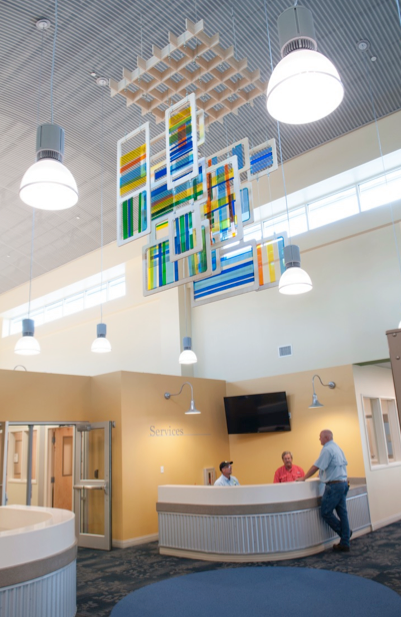 The grand opening of the center represents the merger of The Shelter and adjacent Renaissance Community Center off West Tennessee Street and a new approach in how the homeless receive care. 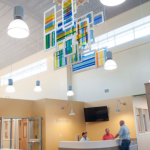 Between 400 and 500 people patiently waited for a chance to step inside the new 24-hour homeless facility located at 2650 Municipal Way, just off West Pensacola Street and steps away from HOPE Community. Rick Kearney, whom the center is named after, couldn’t have been happier. The self-made millionaire and CEO of Mainline Information Systems will finally get to see his vision for helping the homeless be well received by many, including the homeless who’ll be using the facility. Unlike the outdated and overcrowded quarters at The Shelter, one wing is reserved for women in the new facility. Another is dedicated to men. It has a full kitchen and play area for children, and an on-site clinic for medical care and minor procedures.